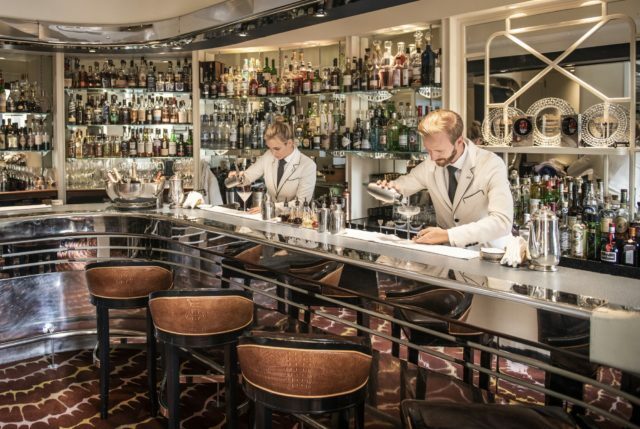 The American Bar at The Savoy in London has announced the launch of a new cocktail menu that will feature its own soundtrack, recorded by in-house pianist Joe Nickoll. The Savoy Songbook cocktail menu will launch on 2 April accompanied by a live studio album recorded by the American Bar’s resident piano player, Jon Nickel, paying homage to the musicians and songwriters that have entertained guests in the bar for decades. Each of the bar’s new 20 cocktails, created by the American Bar team, led by Head Bartender Maxim Schulte and Director Of Bars, Declan McGurk.cocktail, has been inspired by a different track, its lyrics and mood. For example, Jazz standard Beyond The Sea inspires ‘Somewhere Sailin’’ – a “moody cocktail that reflects the tempestuous nature of the ocean”. While ‘Sun, Sun Sun’ is based on George Harrison’s track of the same name and features uplifting flavours like orange blossom, yuzu wine and lime. Sharing cocktail ‘I Love You’ is inspired by the famous Nancy and Frank Sinatra song, while ‘Electric Lover’, is based on Prince’s modern classic Purple Rain, and uses glitter as part of its serve. The album will feature a live recording of each song, which will be listed alongside each cocktail in the menu, with guests able to download the album on Spotify from April. The American Bar was recently named the ‘World’s Best Bar’ at Tales Of The Cocktail 2018.